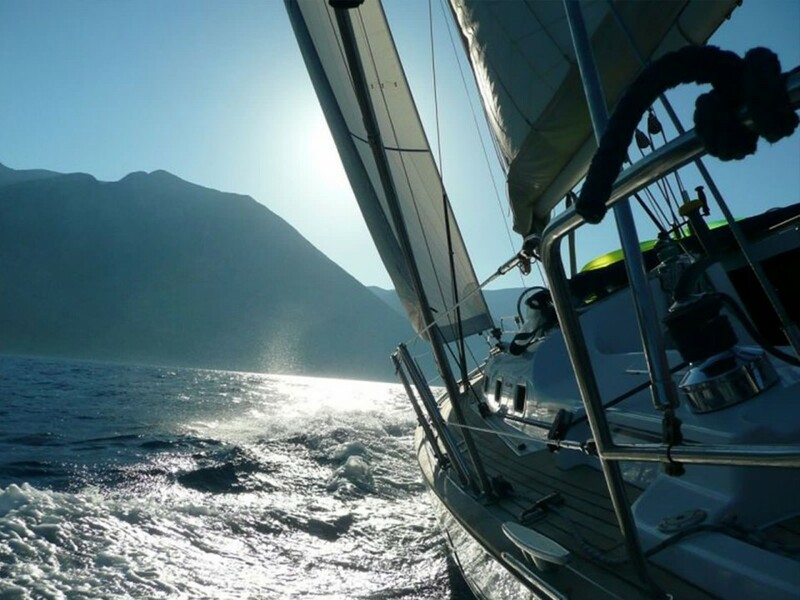 A wonderful trip and an exciting adventure awaits you onboard our sailing-boats, with visits to Sicily’s lovely minorislands: the Aeolian, Egadi and Pelagian islands. With Itinerari Sicilia you can set sail any day of the week andhead off into the magnificent Mediterranean, a sea rich inhistory, colour and sunsets that will stay with you for ever. 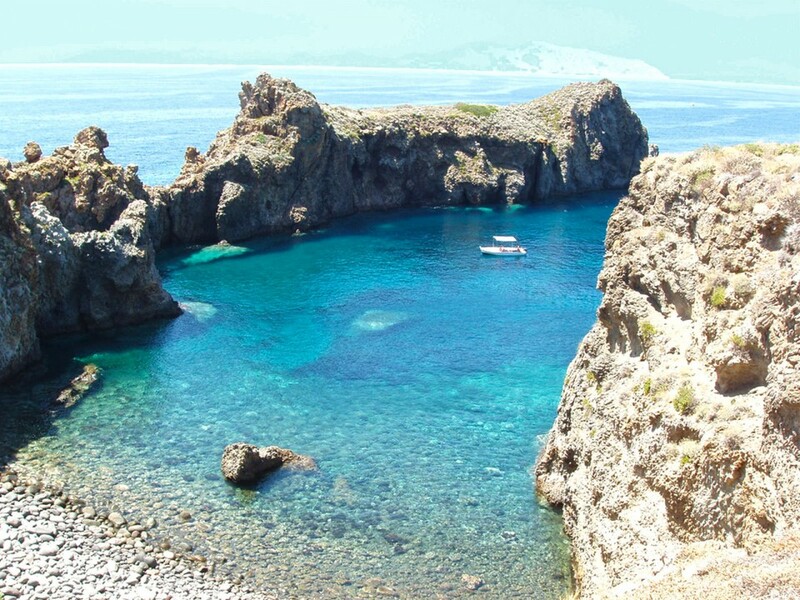 We shall be setting sail from Lipari, a pearl in the Aeolians,that will beguile you with its spectacular coves and lengthy beaches of white sand washed by crystal-clear waters, shimmering like glass containing small deposits of pumice stone. We shall seek out the most frivolous and exuberant of the seven islands, Panarea, where nature unrestrained will astonish you with its extraordinary variety of colours, from the beach at Calcara with its rising fumaroles of sulphur, to the yellowish rocks of its coastline, and the extravagant rock formations of Cala junco, considered one of the prettiest in the Aeolian archipelago. 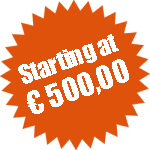 Then we shall be heading for Stromboli, on a voyage of discovery of the most feared active volcano in Europe; it will be possible to climb up towards the top of the volcano accompanied by a guide. 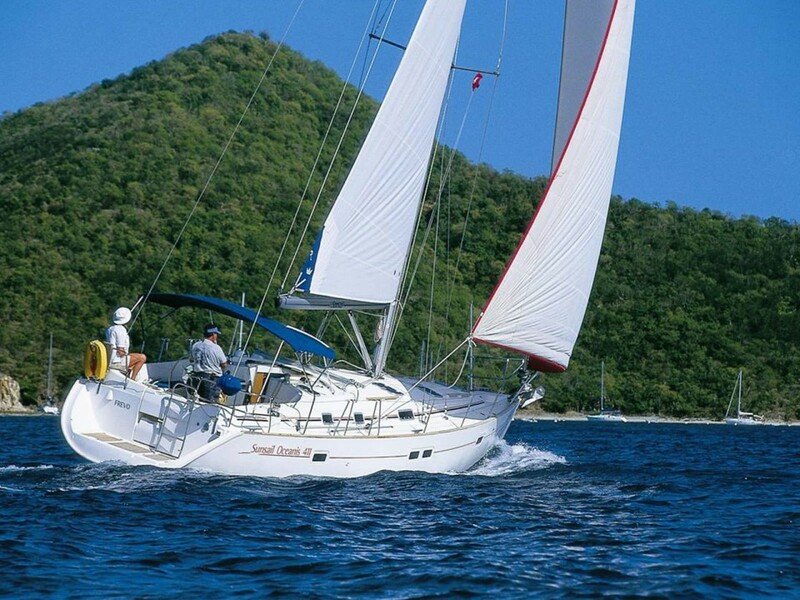 The subsequent leg of the trip will take us on a quest of discovery of the inimitable natural beauty of Salina. Pollara beach, made famous in the film “Il postino”, stretches out below a rocky ampi-theatre jutting out over the sea. 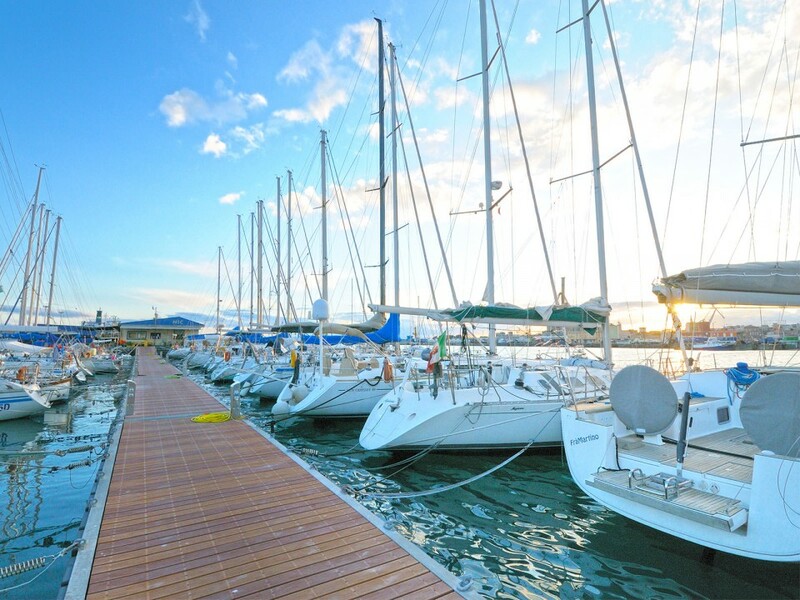 Then there is the vibrant scenery of Santa Marina and the pretty little hamlet of Rinella, a fishing village boasting the island’s only sandy beach. 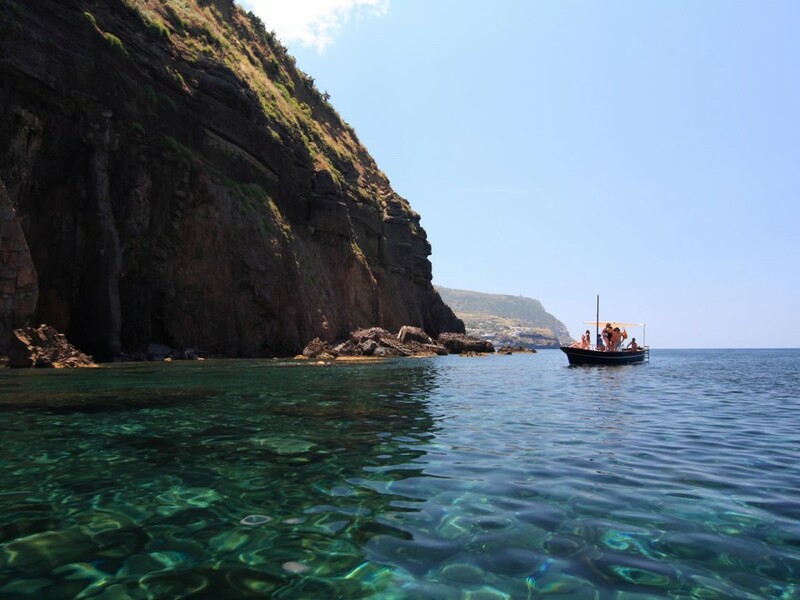 Next will be Filicudi and Alicudi, islands that are both wild and captivating with their tinted sunsets, crystal-clear watersand unspoiled sea-beds. The trip will conclude at Vulcano, renowned for its characteristic smell of Sulphur, which is even more intense if one ventures up to the summit of the Fossa crater. 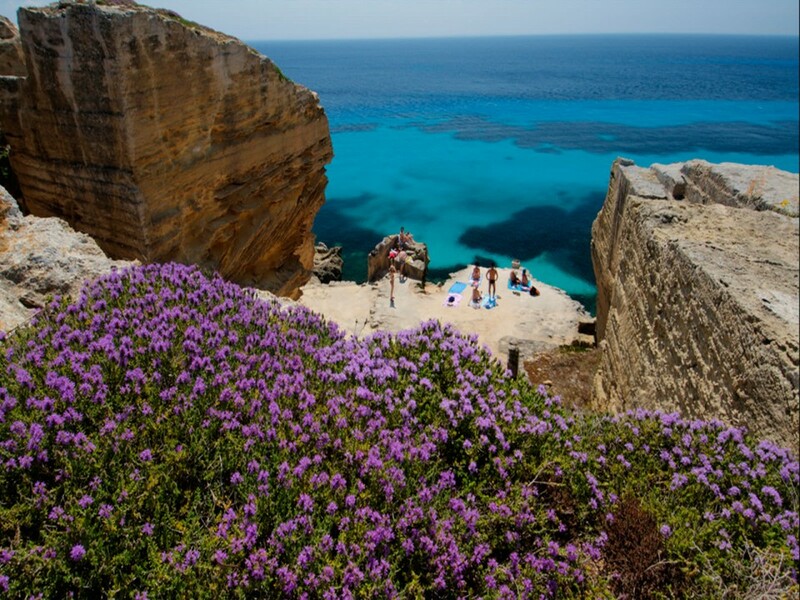 Off the eastern most edge of Sicily, facing across to the windy town of Trapani, there lie the Egadi islands; you will be amazed by the heavenly hues of blue of the surrounding sea. 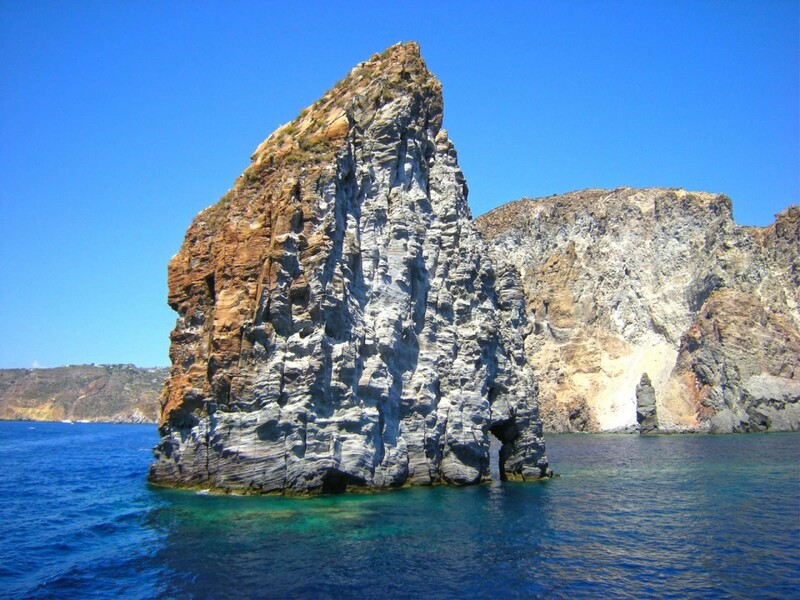 You will begin your sailing holiday at Levanzo, the closest of the three, and renowned for its grottoes. The Genovese grotto, famous for its wall-paintings from 6,000 years ago, is not to be missed; it can be reached by sea or along a pretty path that is keenly-appreciated by trekking enthusiasts. 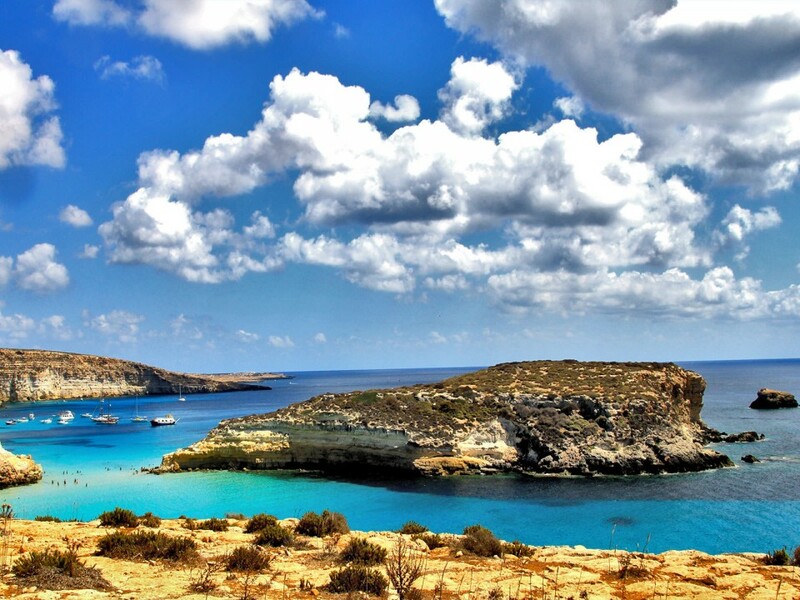 The trip will then take you to Favignana, which, apart from being the largest, is considered the pearl of the Egadi. Cala Rossa will astonish you with its tuff rocks and turquoise hues, as will the elegance of the Florio tuna factory, built in the 19th century. 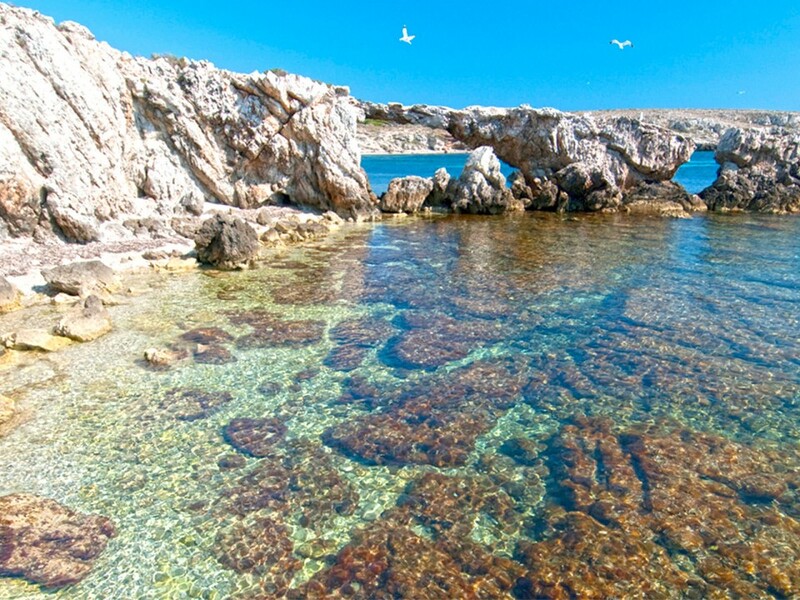 A short stop at the little Bue Marino cove is a must, as is the Grotta Perciata (lit. grotto with a hole in its ceiling). The last stop is Marettimo, the craggiest and most remote. The opulent landscape will take your breath away, dominated as it is by a desolate mountain rising above the sea and which can be scaled in the saddle of one of the local donkeys.